This Bumble Bee fixed blade has a Bocote Wood handle and an Elmax steel blade. 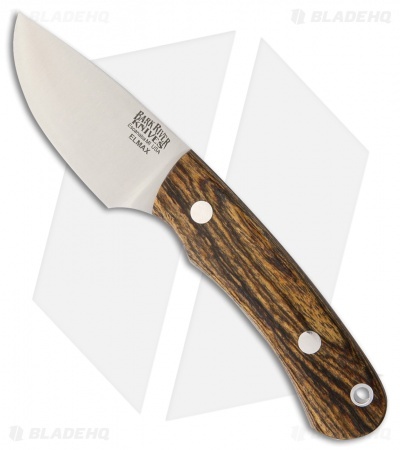 The Bumble Bee is a compact EDC knife from Bark River Knives designed for Urban and Field use. Its lightweight build ensures comfortable carry and ease of use for general cutting tasks. Comes paired with a handcrafted leather sheath for convenient belt carry.